The summit meeting of the heads of state of the G20 countries will take place in Hamburg on 7 and 8 July 2017. Included there will be not only the U.S.-allied leaders — especially Macron, May, and Saudi Arabia’s King and Crown Prince — but also Putin, and also China’s Xi Jinping. 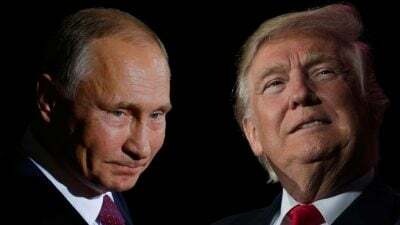 There is some press-speculation that Trump wants to negotiate a deal there for Russia to abandon its alliance with Syria, and also its alliance with Iran. President Obama had tried to do that, but Putin declined the proposal. Perhaps the Western alliance is making these soundings of moving forward despite the Russian warning, so as to increase the pressure on Putin to cave, to crack him. In any event, the jihadists (agents of the Sauds) in Syria know that if they again set up a chemical attack so as to blame it on Assad, the U.S. and its allies have already committed themselves to go to war to overthrow Syria’s government (for ‘humanitarian reasons’). Any jihadist group there could thus pull the trigger even prior to the G20 Summit. Perhaps a jihadist will indeed pull the trigger, but would the U.S. then serve as the gun that some of Trump’s federal employees have promised the U.S. will be in such an instance? In a game of chicken, each side threatens, and maybe also deceives, so that its opponent will believe the worst; but the individual who pulls the trigger might turn out to be an obscure person about whom the general public knows nothing. It happened in WW I, and there is no reason why it couldn’t happen again. Furthermore (as that linked-to source also well documents), underestimating the seriousness of a head-of-state’s commitments, can produce global catastrophe.